Mid-July in Australia marks the middle of winter down under and while the winter season is quite mild compared to winter in much of the Northern Hemisphere, in the south of Australia we still enjoy very cold, icy days when the temperature doesn’t soar much higher than single digits. 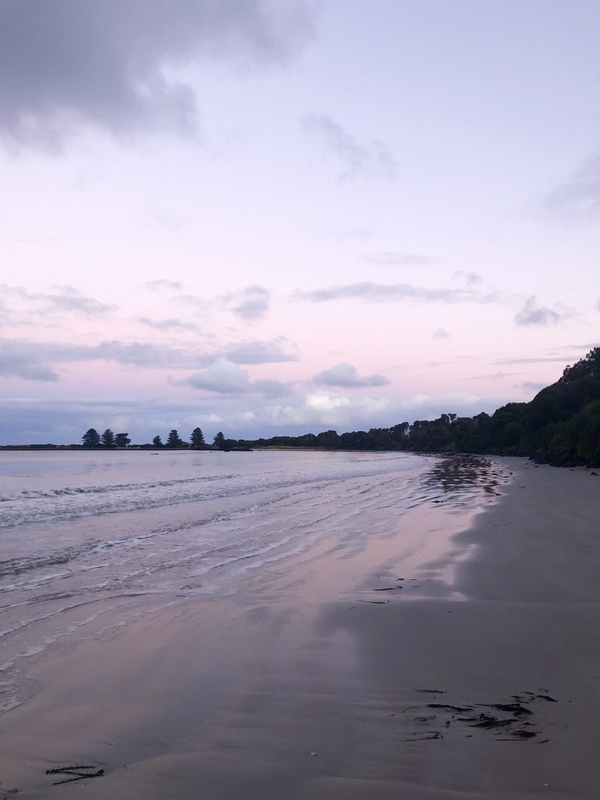 We are also blessed with some incredible Sunsets this time of year making it worthwhile to rug up and head out for a coastal walk or country hike just as the sun is setting. Add in a spot of beachcombing and it is the perfect way to spend a cold winter afternoon. So whether you are sunning yourself somewhere lovely in Europe or trying to keeping warm in beautiful Australia we hope you are enjoying the current season. Very pretty – love all the shells! Awesome! Beautiful sceneries and adorable pet. Beautiful post! I love the pink pup, and jealous of all the shells – ahh the things I could create – LOL!